Sant Jaume has always been a magnificent street just off the beaten track. Not many shoppers and tourists get lost in the beautiful quarter between busy Jaume III and La Rambla. The barrio is still rather quiet, today, but it’s definitely one of Palma’s go-to areas. 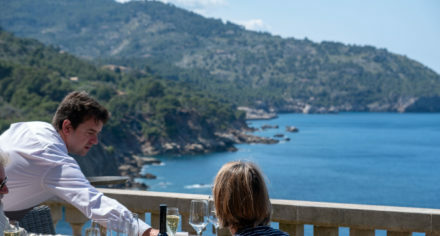 Places like La Mirona, La Molienda, Tast Club or Canela Sant Jaume are no longer insiders’ tips. 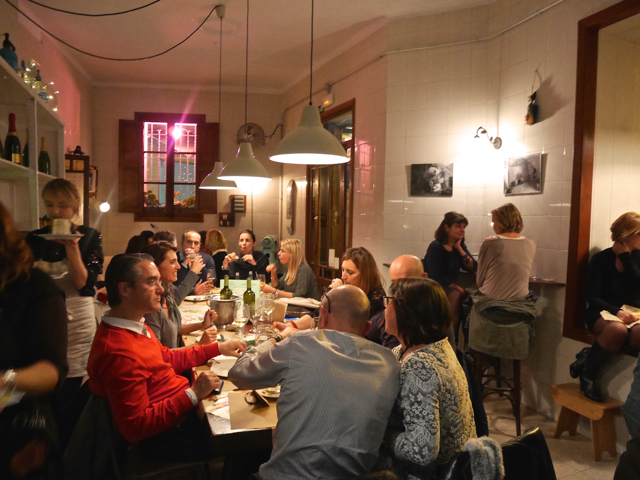 And when the former bakery Forn Cremat reopened last year, it soon became the next hot spot just around the corner: Toque de Queda, a buzzing mixture of deli, bar and restaurant, its long tables and small niches attracting people from all over the city and beyond. Many guests just come for the opulent platter of delicious cold cuts, and it sure looks tempting. 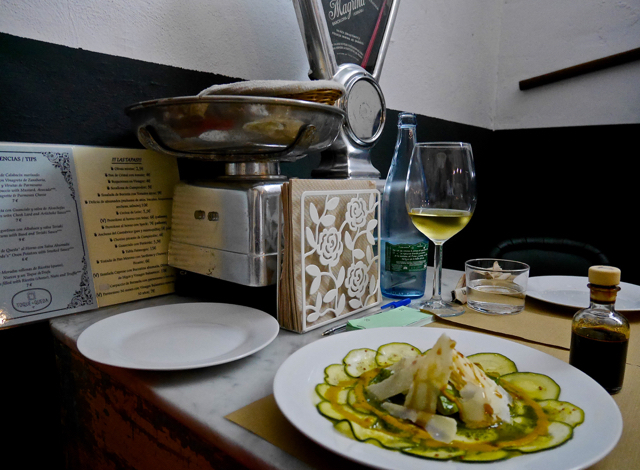 But my absolute favorite is the extraordinary zucchini carpaccio – a definite must-eat. 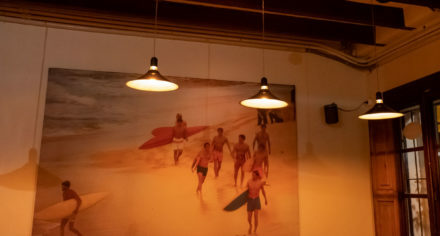 The menu offers a great choice of tasty food and drinks at reasonable prices making Toque de Queda a great place for a quick snack or a long dinner with your friends and family alike. 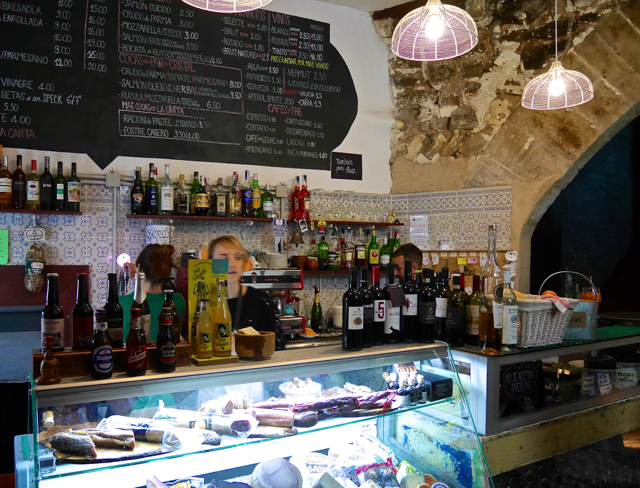 Maybe it’s the remaining traces of the bakery or the still perceptible warmth of its oven that make Toque de Queda such a cozy place. For me, actually, it’s the people who create the special atmosphere – Alicia Arduini and Andrea Cavaletti, who run the bar together. No matter how busy the hour, they are always cheerful and easygoing, chatting with their guests, helping with their choice. 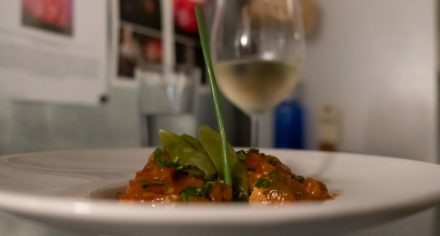 Toque de Queda is the Spanish word for curfew – politely indicating that even a long night with loads of food and wine will eventually come to an end. But I’ll be back soon.